I have been waiting to write this for over a week. I was lucky enough to be able to see a sneak preview of the new Star Trek film last week thanks to a new friend from Karaoke. I had been excited for the new film, but was also very worried. I have been a huge Star Trek fan for many years. No I don’t wear full uniforms or pointy ears out of the house, though, I did buy a new Star Trek logo shirt for last nights showing. 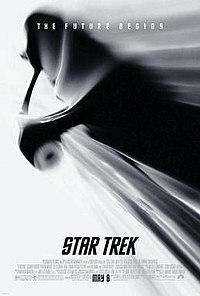 Yes, Star Trek officially opens today and I have already seen it twice. Once in the standard theater and once in IMAX. Last night a bunch of good friends and my family came out and I’m glad they all enjoyed it. While I was doing a little research about Simon Pegg’s upcoming movies I found that there was one Simon Pegg movie that I had not seen, Big Nothing co-starring David Schwimmer. I tried to rent the movie, but RedBox didn’t have it. MovieStop ended up having a used copy for $6.50, so I own it! I wasn’t sure what to think because I love Simon Pegg and am really excited about his upcoming movies, but hadn’t heard anything about this movie. He will be Scotty in the new JJ Abrams Star Trek reboot and the final film in his “Blood and Ice Cream” trilogy, The World Ends (Shuan of the Dead and Hot Fuzz being the first two) is coming next year. Pegg will also be doing another movie with Nick Frost called Paul, this movie intrigues me because supposedly the two will switch roles with Frost playing the straight man. I can’t wait! But why hadn’t I heard about Big Nothing? Last weekend I got to see one of my favorite actors star in a new movie. 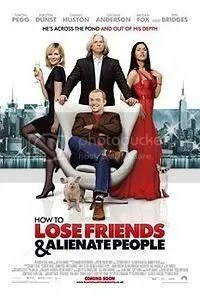 Simon Pegg stars in How to Lose Friends & Alienate People with Kirsten Dunst, Jeff Bridges, Megan Fox and Gillian Anderson. This movie is based on a memoir of the same name. I have not read the book but I do know that the movie is not true to the book, so don’t take what happens in this movie as something that actually happened. Tuesday, September 23rd, was my younger brother’s birthday. For his birthday we got together for dinner and a movie. 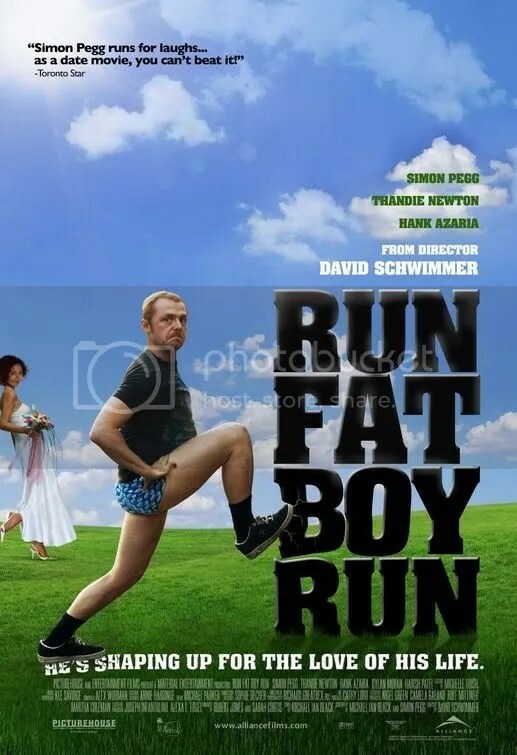 Being that he doesn’t like leaving the house, we ordered Chili’s To Go and rented Run, Fat Boy, Run from Blockbuster. I haven’t rented a movie from Blockbuster in 10 years, but my mom refuses to even drive through Wal-Mart’s parking lot (she thinks Wal-Mart is evil). I tried to tell her that you don’t even have to go all the way into the store to use Redbox, but she refused.